At CPM Engineering a fundamental part of our work philosophy, is to help our customers make more informed decisions about their rotating equipment. By giving them ‘best practice’ advice and option we feel that we can earn their trust and maintain our reputation. One of these areas is in electric motors where promoting best practice in their repair and overhaul means that we can meet the very stringent levels of reliability and energy efficiency to which the machines were manufactured to. Working with our trade association EASA which represents and supports over 1800 repair companies world-wide we have access to the very best access and information on motors manufactured to IEC, IEEE, NEMA, UL and CSA standards. As a member of EASA, and the first company in Europe to be awarded the coveted EASA accreditation programme, CPM has access to its huge resource library, and Root Cause Failure Analysis which we will with our customers no matter what industry they operate in. With over two thirds of electricity consumed by industry being used to power electric motors it is not surprising that the end-users are taking an ever increasing interest in the electric motors they buy, and the way that they are repaired. 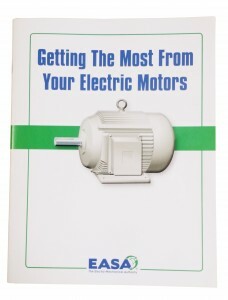 Into obtain a free copy of this publication “Getting the most from your electric motors” give us a call on 0161 865 6161 or email us at info@cpm-uk.com and we will be happy to forward you a copy.